NOTHING tests out new ideas like drought. 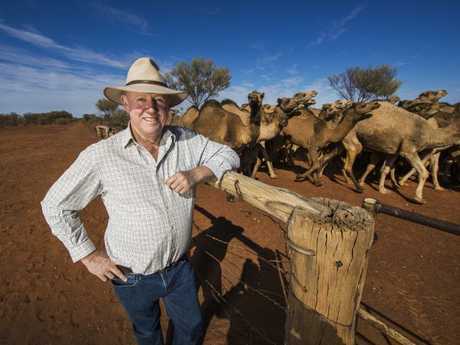 West of Cunnamulla, Sustainable Land Management chief executive Tony Lovell has introduced camels to his company's cattle in a bid to rejuvenate the land, take the pressure off pastures in the big dry and possibly also put a new product on high-end restaurant menus. As well as being renowned for thriving in dry conditions, the camels feed differently - gently plucking the leaves from mulga much higher up than cattle can reach. They are also messy eaters, meaning the leaves that fall out of their mouths land on the ground to either break down there and replenish the parched soil or be eaten by the cattle that would not otherwise reach them. There's growing demand for camel meat around the world but it is also being used closer to home. Camel meat is being made into camel burgers that are drawing a following at the Cunnamulla Cafe, and in soap and beauty products sold in locally - as well as being pitched to top city chefs. 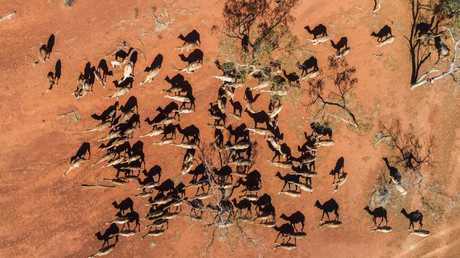 Mr Lovell said camels would never replace cattle but they were improving the land on the 81,000ha station 75km southwest of Cunnamulla. 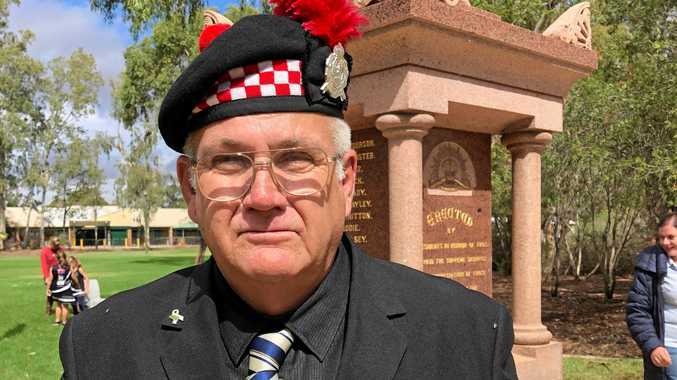 "The last few years have been very character building," Mr Lovell said of the drought that has had a huge swath of Queensland in its grip for six grinding years. "We are trying to do things a little differently. We do cell grazing - moving the animals around on a regular pattern so we have a larger number of animals on smaller area for a shorter period of time. "All of our animals on the property will be in a couple of thousand acres at any given time and then they are moved and they won't come back into that area for months, if not a year or so. One of the things we look for is biodiversity. The camels eat differently, on different plants, at a different height, with a different impact on the environment. "There is also mulga which is one of the major feeds out here which is reasonably high protein but it has a tannin in there that binds to the protein. Cattle and sheep can't break that off but camels have a bacteria in their stomachs that can. "If we graze the camels and cattle together some of that bacteria transfers across and it increases the capacity and ability of the cattle to extract nutrient from the plants." "I don't think camels will ever replace cattle and we have no intention of camels replacing cattle. "I think they can be very complementary. "In an ecosystem like this that can be incredibly variable and that runs from one extreme to the other, there's a lot of diversity that's needed so you need plants and animals that can deal with all those various climatic conditions. "I think the combination of cattle and camels blend together very nicely." Most Australian camel meat goes to the US and Middle East but Mr Lovell said the company had also pitched it to top chefs. "We had a few senior chefs try camel meat and they were impressed with it. The vision longer term is can we develop a camel meat industry in this region," he said. PULL up a stump and get ready for a few yarns around the campfire tonight as Queensland hosts a television first. Channel Seven's "Campfire TV" will be a chance for Queenslanders to do what we do best - mates helping out mates - when they host tonight's 7 News Special: Queensland Drought Appeal. 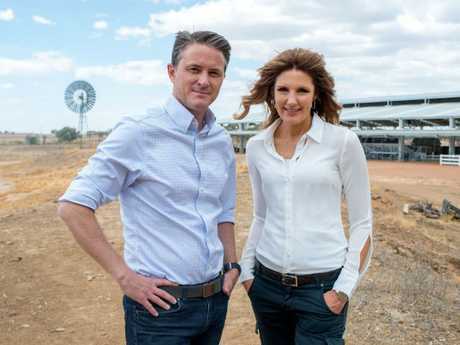 Max Futcher and Sharyn Ghidella are getting back in the field again and broadcasting live from Longreach tonight to share tear-jerkingly captivating stories of Queenslanders doing it tough in the bush. The special will be broadcast into every living room across the state so that Queenslanders can donate money to our struggling farmers. "I think through this program they can see there is support coming from elsewhere and that we haven't forgotten about them," Ghidella said. "They are the experts in helping each other," Futcher added. "I think it's going to be important for them to see that the city folk are batting for them." The hour-and-a-half special will feature tales of trepidation, stories of survival and pieces of positivity in front of a backdrop of dirt and dust. The duo will be joined by the likes of Shane Webcke in Barcaldine, Joel Dry in Birdsville and Kay McGrath and Kendall Gilding at fundraising events in Brisbane. Tonight's Queensland Drought Appeal will also feature special guests Troy Cassar-Daley and Laurel Edwards. 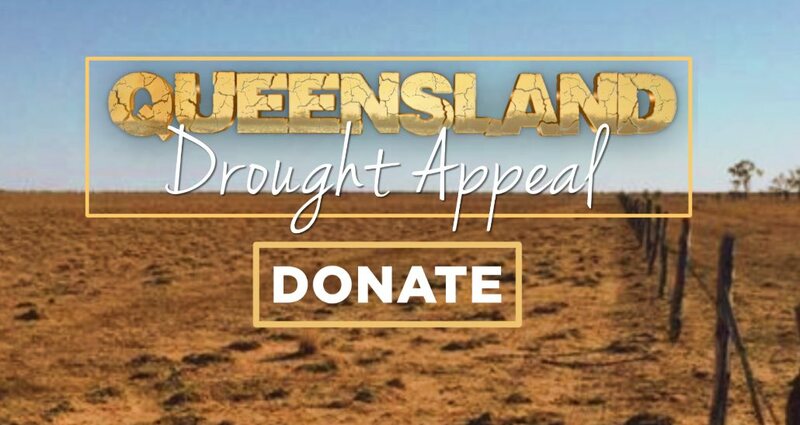 Seven News has teamed up with The Courier-Mail and The Sunday Mail to support the Queensland Drought Appeal, with every dollar raised being distributed across the state by the Queensland Country Women's Association. "We just can't survive without our farmers," Ghidella said.